The USDA Dietary Guidelines suggests that adults eat at least 5 servings of fruits and vegetables per day. This is a great starting point. However, research has shown that people receive the most health benefits by eating 10 servings of fruits and veggies per day*. In a recent study, those who ate 10 servings per day had reduced incidence of stroke, heart disease, cancer, and premature death. That’s a pretty good incentive to eat your fruits and veggies! Not surprisingly, most of us do not reach the goal of 5 servings, let alone 10. So what is a serving, and how can we reach this goal of 10 fruits and veggies per day? That depends on what you're eating. For fruit, 1 serving is a medium sized piece of whole fruit. A typical banana (6-8 inches) is 2 servings of fruit. If you're eating berries, one serving is about 1/2 a cup. Four ounces of 100% fruit juice counts as a serving too, but eating whole fruit is better because the fiber makes you feel more full. For vegetables, one serving is 1 cup of raw veggies or ½ cup cooked. Vegetable juice is the same as fruit juice; 1 serving is 4 ounces of juice, but eating the veggies raw is better for you (because, fiber!). How can I eat 10 servings of fruits and veggies per day? -Start your day off with a smoothie packed with fruits, spinach, kale, and other veggies! Pro tip: add cauliflower to your next smoothie (we promise you can't taste it!). -Incorporate veggies into your lunch, dinner, and snack staples. For example, add lettuce and tomato to your sandwich, or try dipping red bell peppers into your guac instead of chips. -Add salads to lunch and dinner, and make them exciting by adding in yummy dried fruit (1/4 cup counts as a serving!). -Condiments count! Salsa is a great tasting way to add more veggies into your day. *Aune, D., Giovannucci, E., et al. (2017). 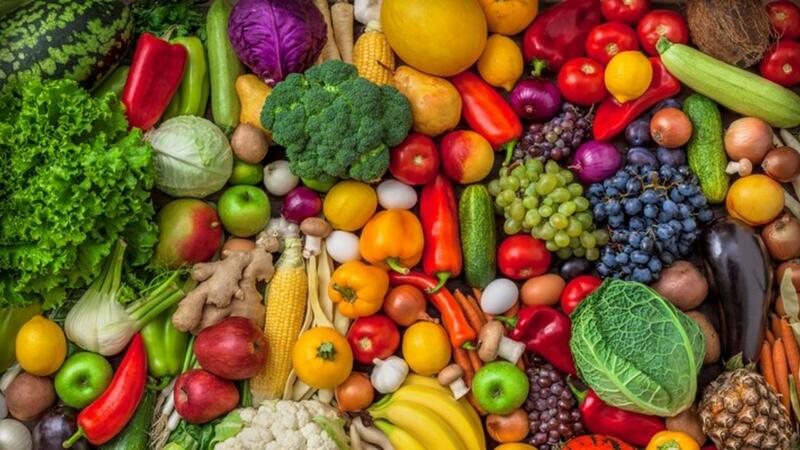 Fruit and Vegetable Intake and the Risk fo Cardiovascular Disease, total cancer and all-cause mortality – a systematic review and dose-response meta-analysis of prospective studies. International Journal of Epidemiology, 46(3).